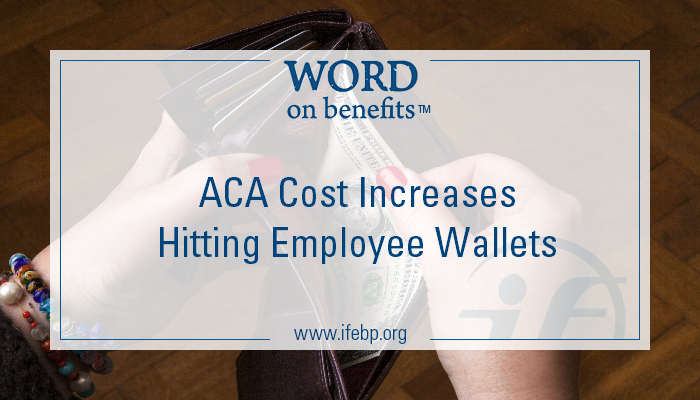 Faced with rising costs due to the Affordable Care Act (ACA), employers have made a number of changes to their health plans that directly impact their employees’ wallets. 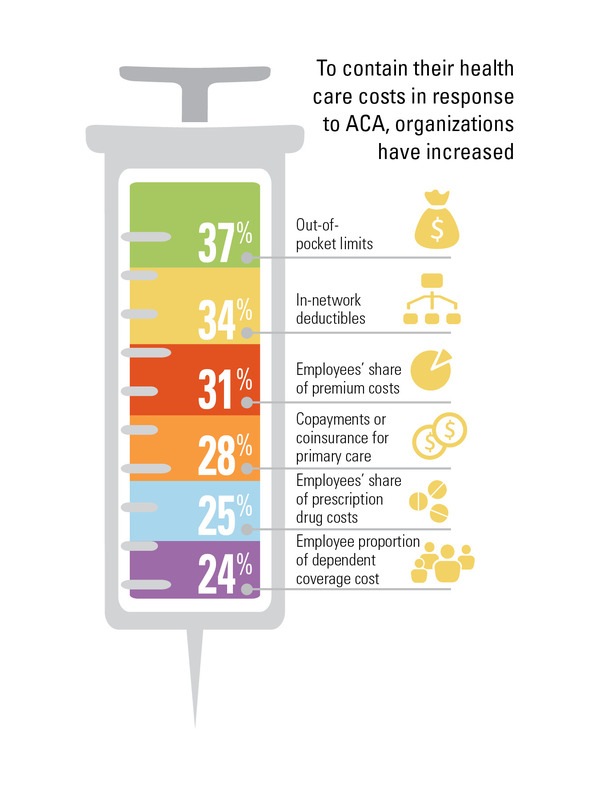 The International Foundation’s new report, 2016 Employer-Sponsored Health Care: ACA’s Impact, finds that about one-third of organizations have increased out-of-pocket limits, in-network deductibles or employees’ share of premium costs in response to ACA. Additionally, more than one in five organizations have increased copayments or coinsurance for primary care, increased employees’ share of prescription drug costs or increased the employee proportion of dependent coverage cost. The new report found about half of organizations have conducted an analysis to determine how ACA will affect 2016 health care plan costs. Among all organizations, 77% expect the law will increase their organizations’ health care costs this year, with most projecting a 1% to 6% increase. 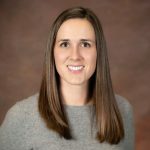 Despite the rising costs, employers remain firmly committed to offering health care coverage—an employee benefit seen as essential for attracting/retaining employees and for overall employee satisfaction and engagement. Nearly all, 97%, of the surveyed employers will continue to provide health care coverage for all full-time employees in 2016. 2016 Employer-Sponsored Health Care: ACA’s Impact is the seventh survey in a series on how corporate health benefit plans are being affected by the Affordable Care Act. Read the full report at www.ifebp.org/ACA2016. “…employers remain firmly committed to offering health care coverage…” – not to mention employers pretty much HAVE TO offer coverage or pay penalties under ACA. ACA is still a disaster. Yes, a minority can now get health insurance when they couldn’t previously. But, for most lower to middle income folks, Obamacare/Exchange insurance is still unaffordable. Yet for employers and employees, costs just keep increasing to cover it. Worst legislation to be forced upon the American people in decades.